Flood waters have receded; now the tally of losses begins. Flood waters from Tropical Storm Irene have receded to the point farmers can finally survey crop damage and expected losses. Reporting those losses is especially important stresses Pam Smith, University of Vermont Extension crop insurance coordinator. Timely and accurate reporting of those losses is important for insurance purposes. But as Bob Parsons, ag business management specialist at University of Vermont, points out, it's extremely important for receiving financial assistance from USDA/Farm Service Agency's Supplemental Revenue (SURE) program. TANGLED MESS: Flood waters from Irene left many fields with major losses, only recoverable by crop insurance. corn insured as silage and Dec. 10 for corn insured as grain and soybeans. Reporting deadlines must be met for each insurance unit. FSA also must be notified of any damage for the SURE Program. Good record keeping will be more important than ever. During harvest, keep notes on the amount harvested from each field on a per unit farm basis. If production will be fed before or after the claim is adjusted or production from two insurance units will be mixed, specific detailed record keeping is required. Take extra care not to misplace receipts that show your investment in the crop and the cost of any custom work performed as they may be needed to document loss claims. The use of crop insurance as a risk management tool continues to play an increasing role on Vermont farms. Statewide producers increased their insurance protection by 20% in 2011. Information on the extent of losses of crops and livestock in Vermont is being collected by FSA in order to secure funding for flood recovery efforts. 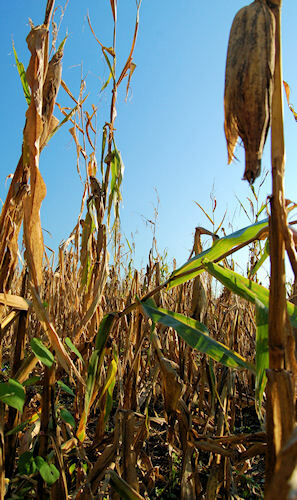 Farmers with damage are encouraged to complete the Agricultural Damage Assessment Form, available from the UVM Extension homepage, at http://www.uvm.edu/extension/.